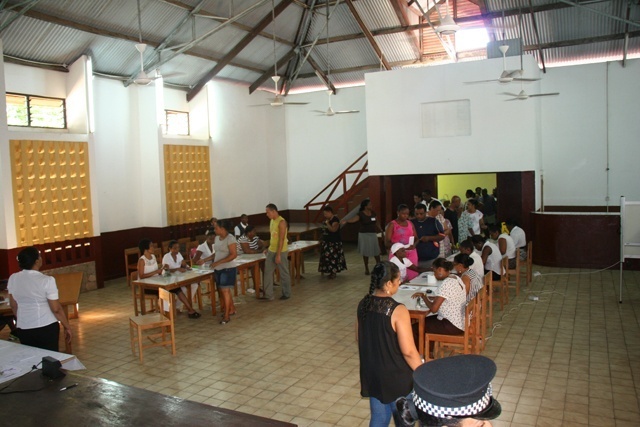 (Seychelles News Agency) - Residents of Anse Boileau are voting to choose their new representative in the National Assembly in a bi-election taking place today, Sunday 25. The bi-election taking place in the west coast district of Mahe, the main island of Seychelles, comes after the unexpected resignation of Patrick Pillay as an elected member of Anse Boileau district and the Speaker of the National Assembly in late January. Pillay submitted his resignation letter to the office of the clerk of the National Assembly on Monday, January 29. The 3,314 eligible voters of Anse Boileau have the option of choosing among three candidates – Louis Loizeau of the Seychelles Patriotic Movement (SPM), Phillip Arissol of the opposition coalition Linyon Demokratik Seselwa (LDS) and independent candidate Ralph Volcere. Parti Lepep, the party holding the presidency in Seychelles, a group of 115 islands in the western Indian Ocean, is not taking part in the bi-election. Voting on the outer island and other special voting stations outside of the district took place on Saturday, February 24. Ballot papers for this bi-election were printed in the country; ballot papers are usually printed overseas. This is the third bi-election in Seychelles since the country’s return to multi-party democracy in 1993. The last time one was held was in August 2012 in the eastern district of Anse Aux Pins after the resignation of Jhowla Manoo. The first was in July 1998 in the central Mont Fleuri district after the resignation of Jean-Francois Ferrari.